The Kerrie Show: Boys in Pink Snowpants ... Who Cares? Boys in Pink Snowpants ... Who Cares? So this is it. For now. 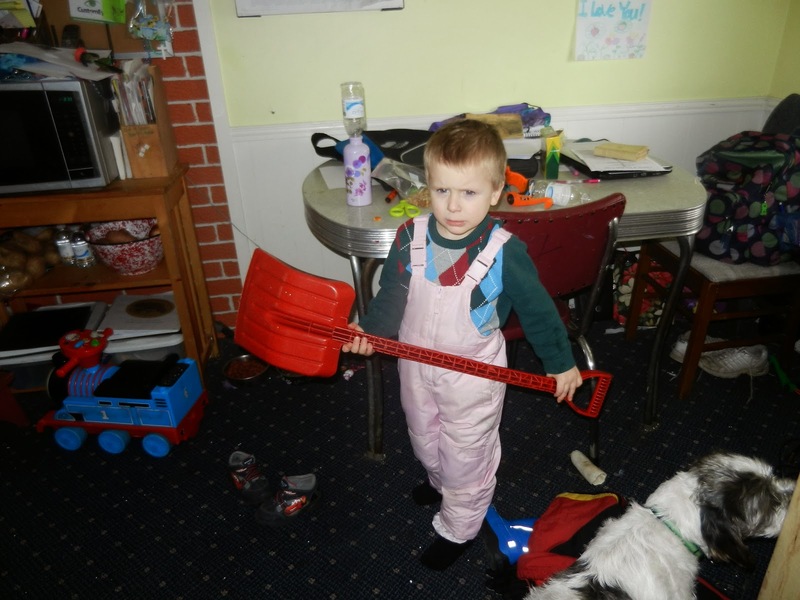 Hope you enjoy my surly 4-year-old getting ready to go shovel snow in his pink snowpants. WHAT?! He has two older sisters and one time I bought pink snowpants and now they are what fit him. He is cool with his masculinity, though, so it works out. If you make fun of him he might bap you with his snow shovel so think twice about that one.